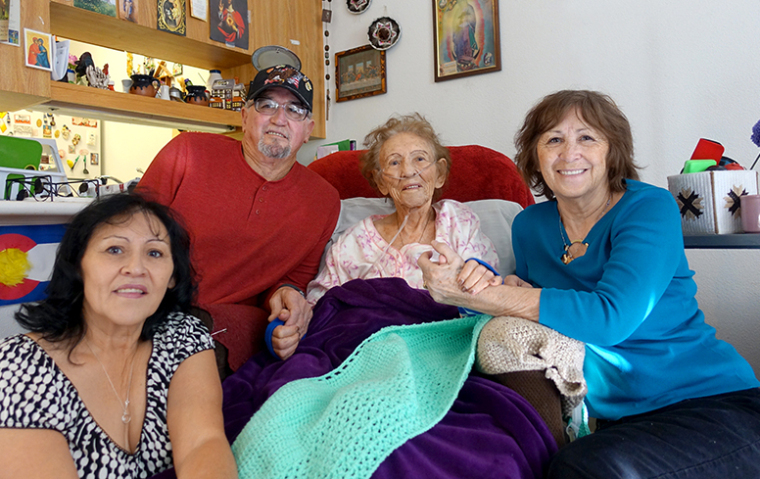 After her husband of 50 years passed away, she was living alone and moved into Mercy Housing. Rafelita loves how easy it is for family to visit her at Clare of Assisi. Her daughter currently lives with her and takes care of her as well. Rafelita has loved painting, crocheting, and cooking for her entire life. She worked in laundry services at a hospital for many years. After dabbling in potato farming, she returned to laundry services. Rafelita retired in the 1970s, but quickly decided to go back to work for a few more years after missing her busy schedule. She currently spends most of her time entertaining 30 grandchildren.